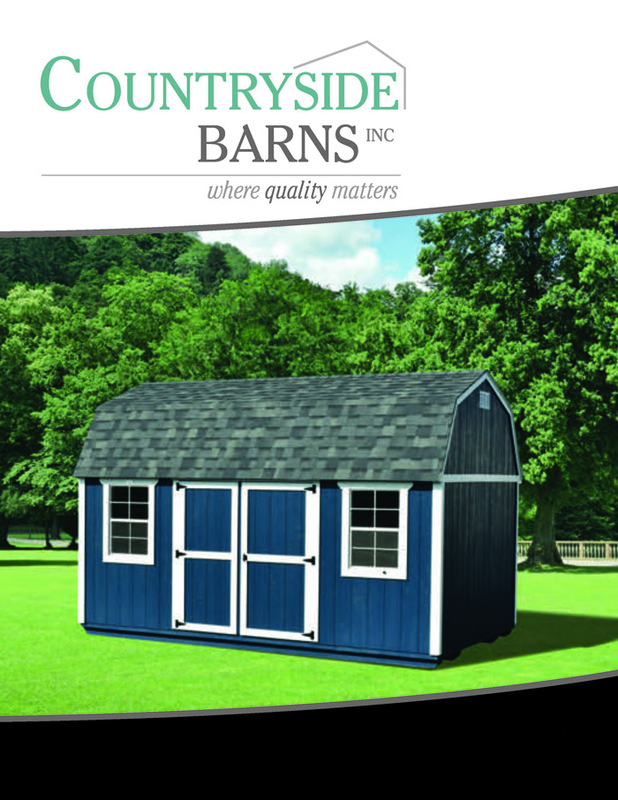 Jim's Repair Service - Countryside Barns, Inc. 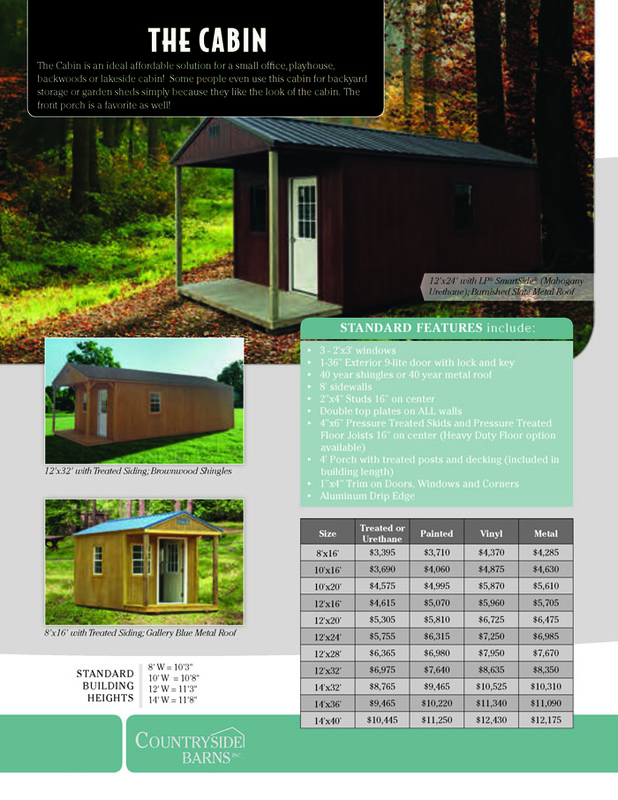 The Lofted Garden Shed is our most popular storage building! 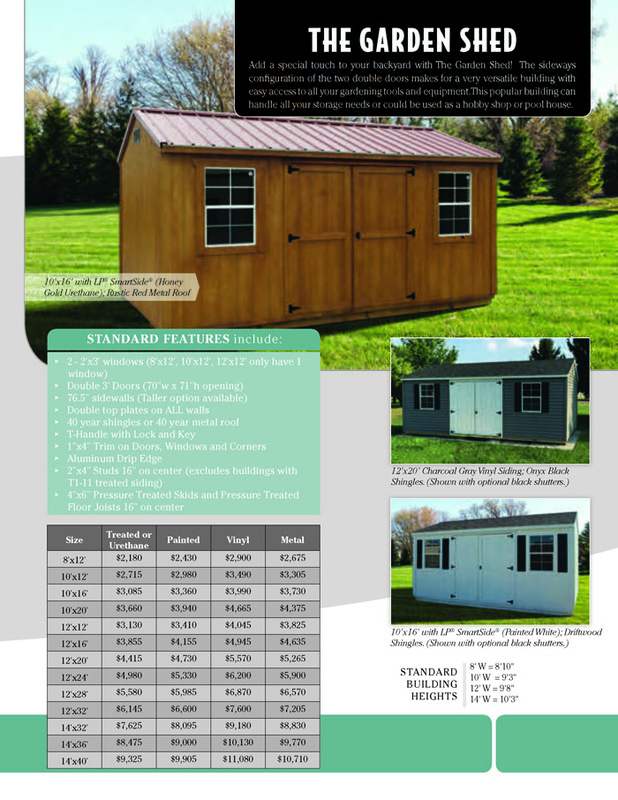 WIth two overhead lofts there is much additional storage space. The large double doors on the side of the bulding allow for easy acccess to the entire building. 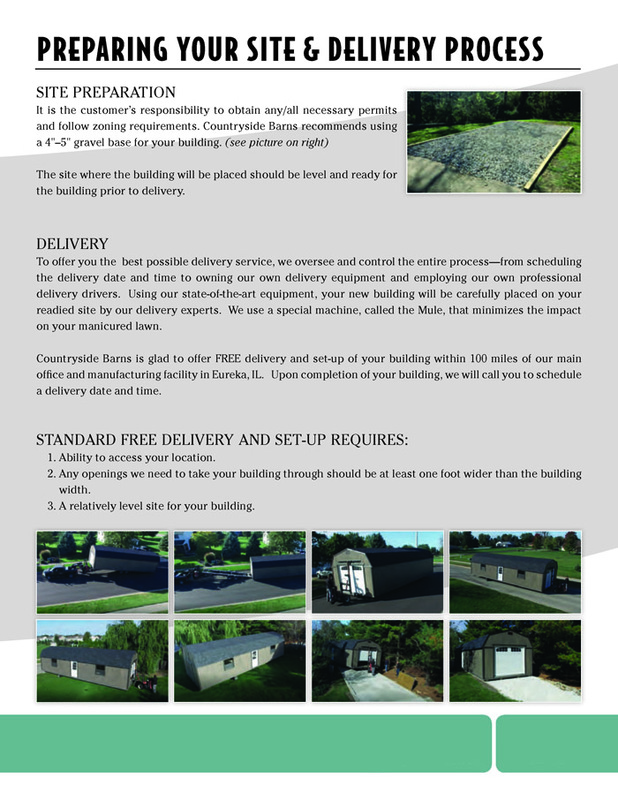 This building can also be used as a workshop or pool house! 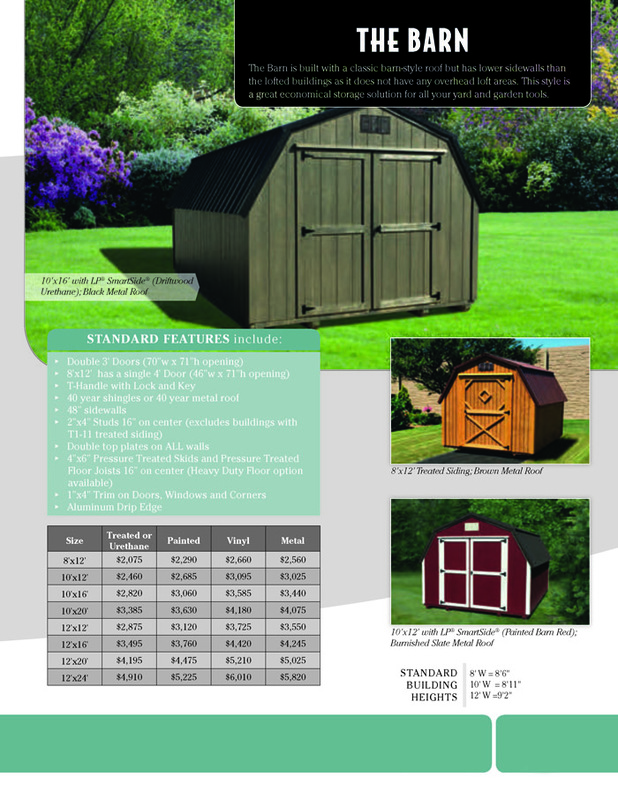 Add a special touch to your backyard with The Garden Shed! The sideways configuration of the two double doors makes for a very versatile building with easy access to all your gardening tools and equipment. 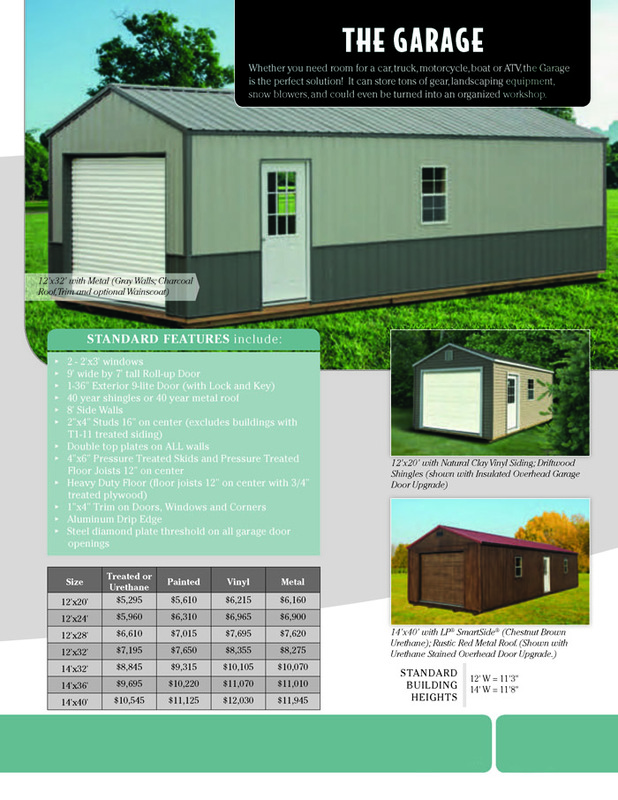 This popular building can handle all your storage needs or could be used as a hobby shop or pool house. 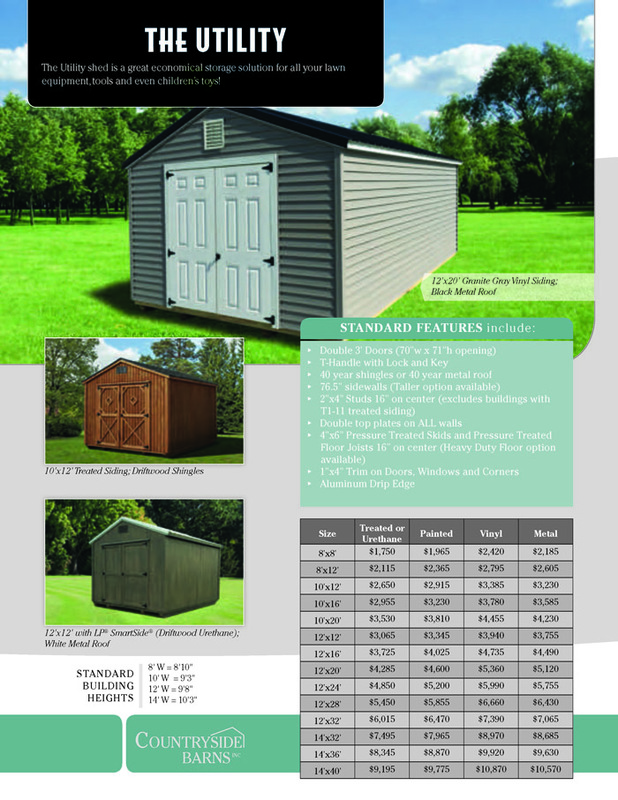 The Utility Shed is a great economical storage solution for all your lawn equipment, tools and even children's toys! 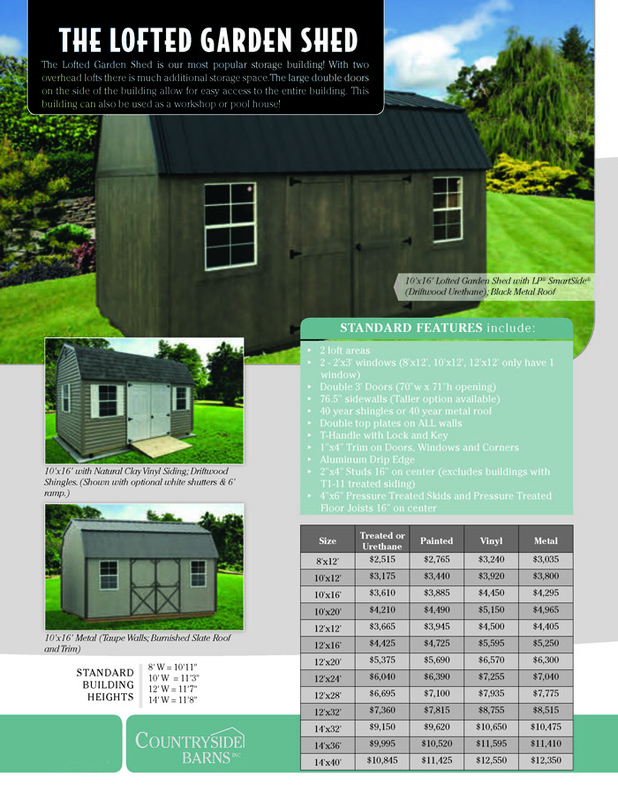 The Lofted Barn and Country Barn provide a great place to put your lawn and garden equipment, while storing seasonal deorations and storage totes above in the 2 overhead loft areas. 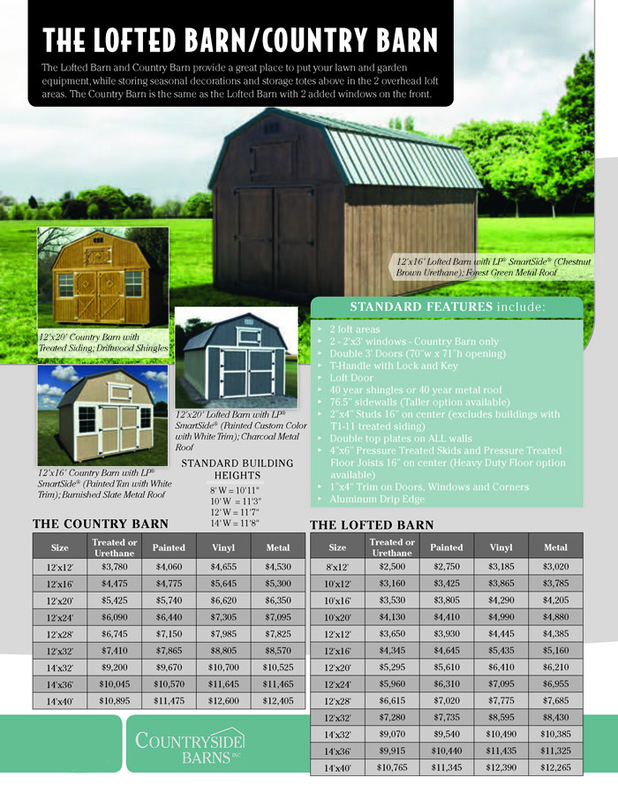 The Country Barn is the same as the Lofted Barn with 2 added windows on the front. 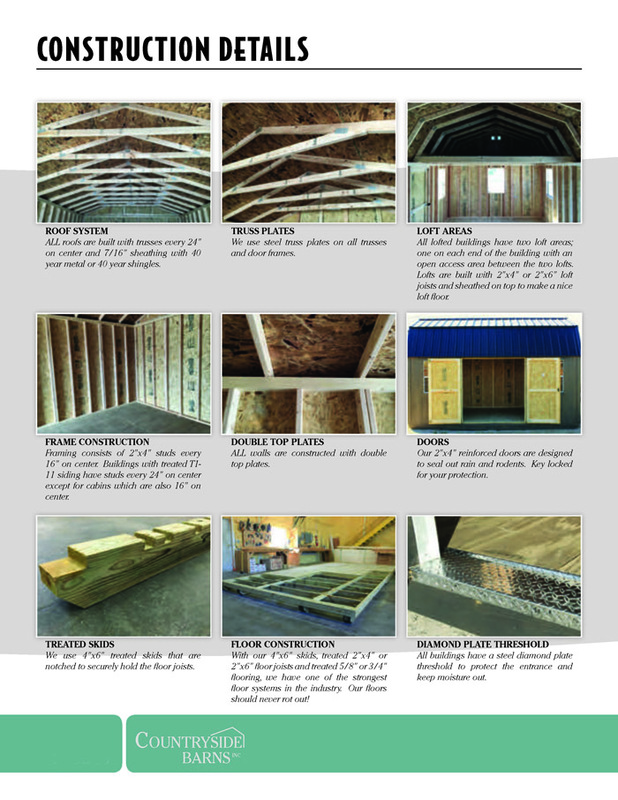 The Barn is built with a classic barn-style roof but has lower sidewalls than the lofted buildings as it does not have any overhead loft areas. This style is a great economical storage solution for all your yard and garden tools. Whether you need room for a car, truck, motorcycle, boat or ATV, the Garage is the perfect solution! It can store tons of gear, landscaping equipment, snow blowers, and could even be turned into an organized workshop. 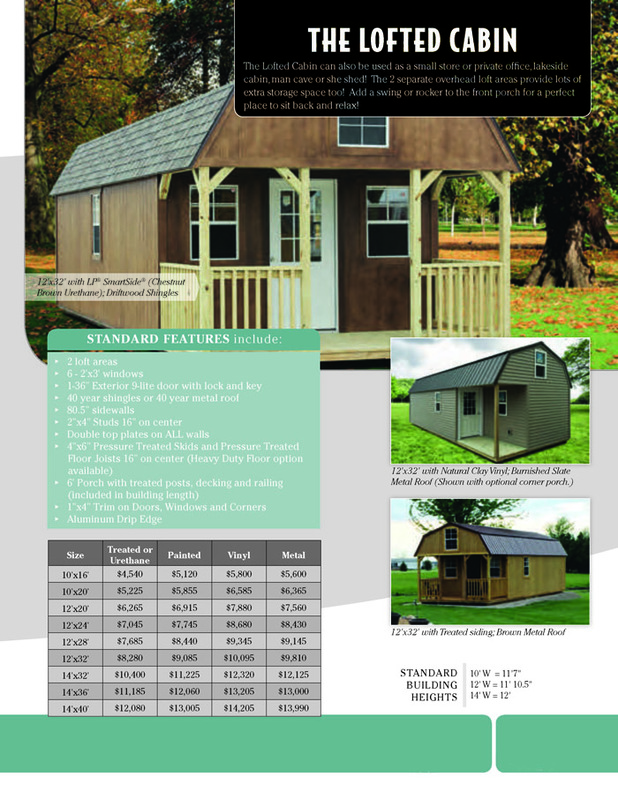 The Cabin is an ideal affordable solution for a small office, playhouse, backwoods or lakeside cabin! 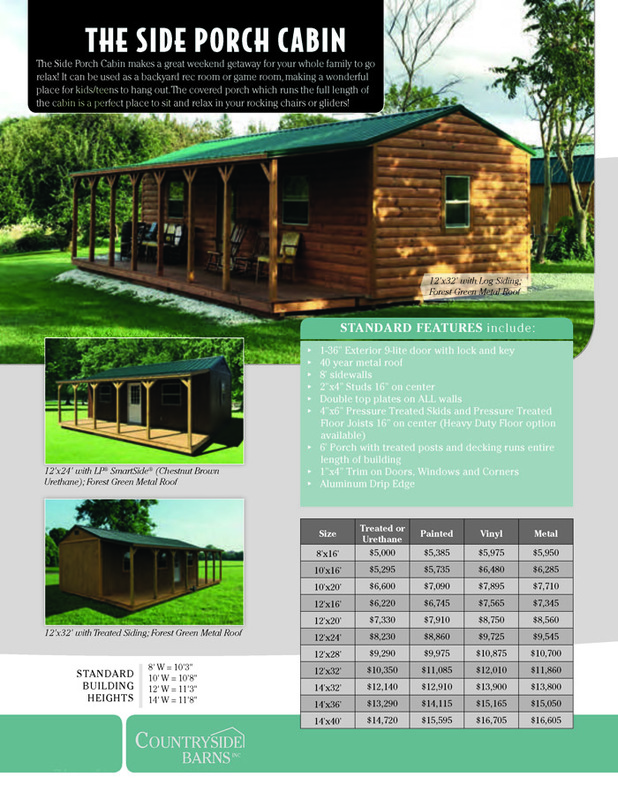 Some people even use this cabin for backyard storage or garden sheds simply because they like the look of the cabin. The front porch is a favorite as well! 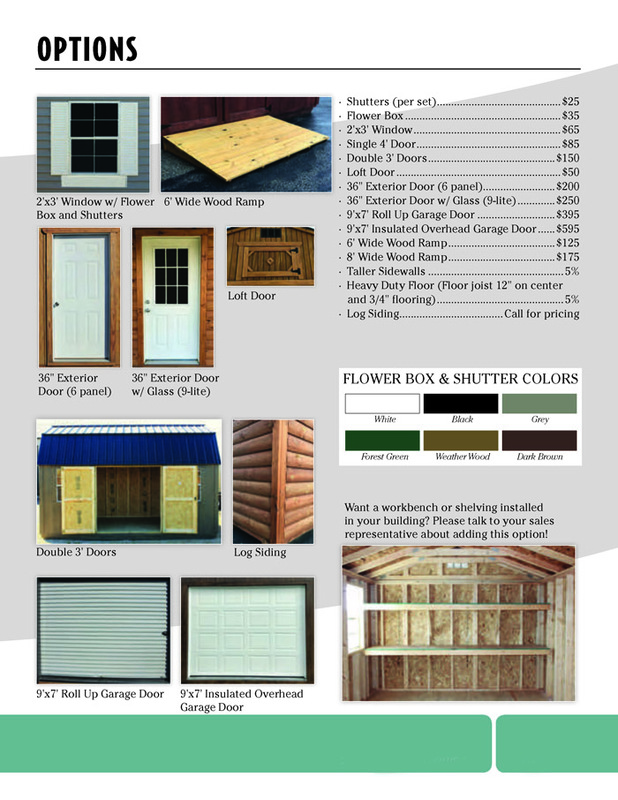 The Lofted Cabin can also be used as a small store or private office, lakeside cabin, man cave or she shed! The 2 seperate overhead loft areas provide lots of extra storage space too! Add a swing or rocker to the front porch for a perfect place to sit back and relax! The Side Porch Cabin makes a great weekend getaway for your whole family to go relax! It can be used as a backyard rec room or game room, making a wonderful place for kids/teens to hang out. The covered porch which runs the full length of the cabin is a perfect place to sit and relax in your rocking chairs or gliders! 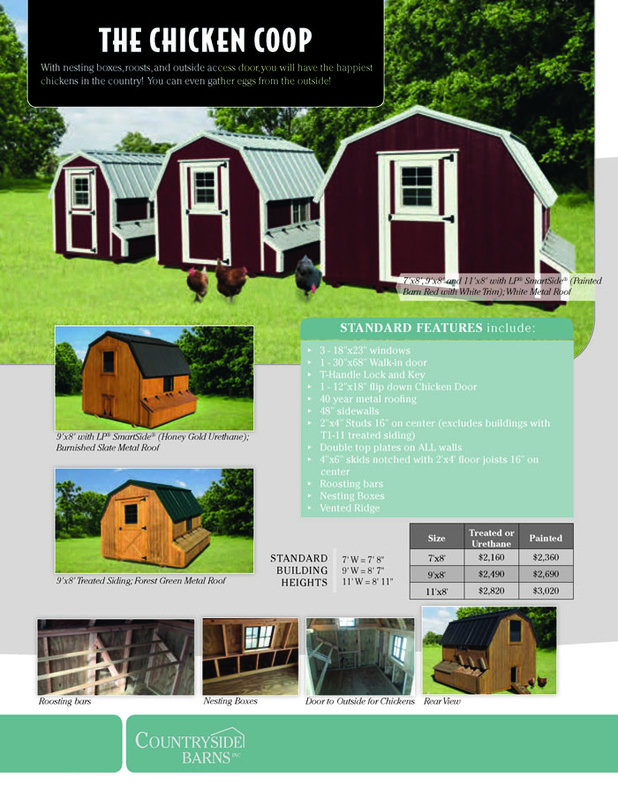 With nesting boxes, roosts, and outside access door, you will have the happiest chickens in the country! You can even gather eggs from the outside! 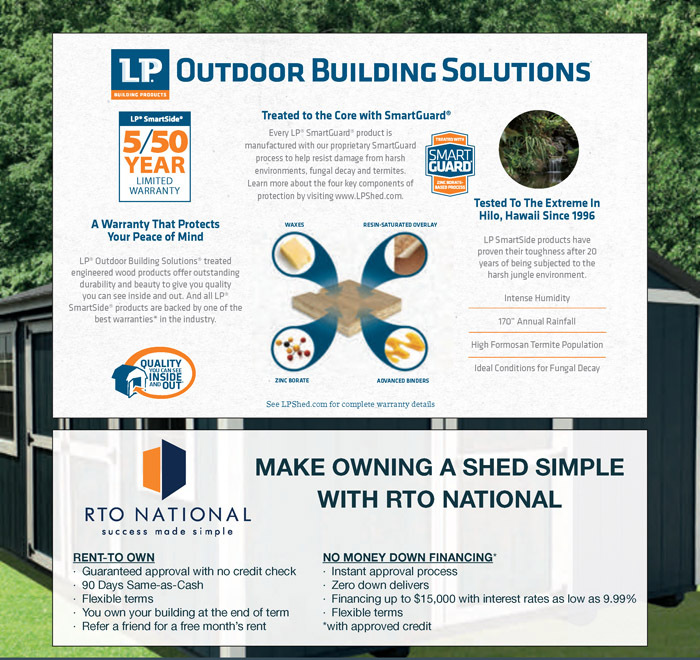 Enjoy time in your backyard more than ever before in a new gazebo! These structures are a wonderful place to sit and relax. 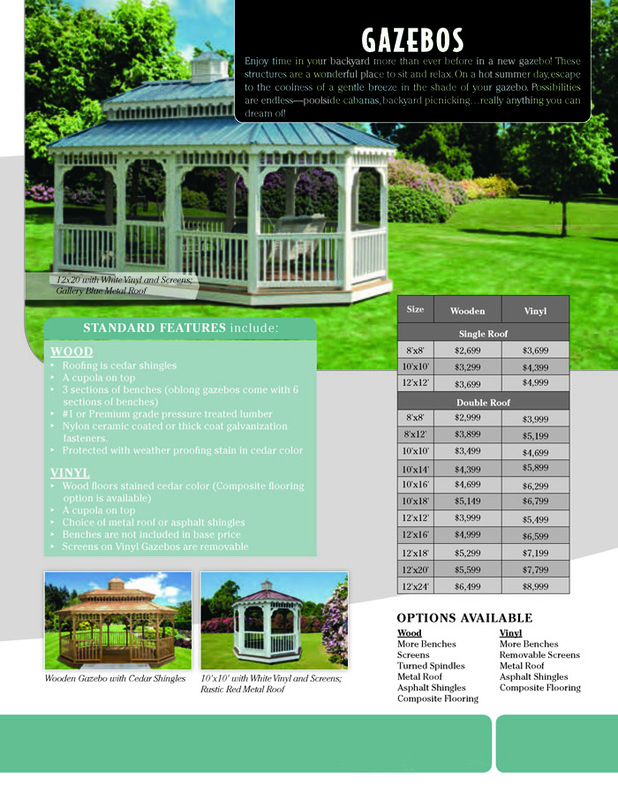 On a hot summer day, escape to the coolness of a gentle breeze in the shade of your gazebo. Possibilities are endless - poolside cabanas, backyard picnicking...really anything you can dream of!